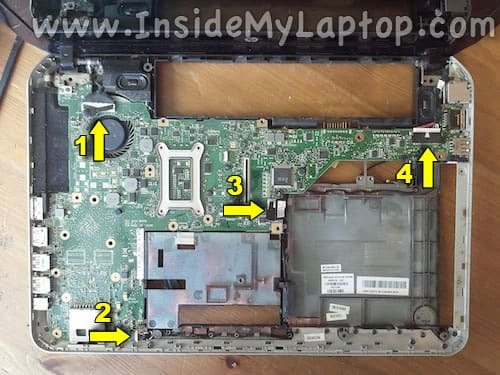 In this guide I will disassemble a HP ENVY m4. The full model number is: m4-1015dx. 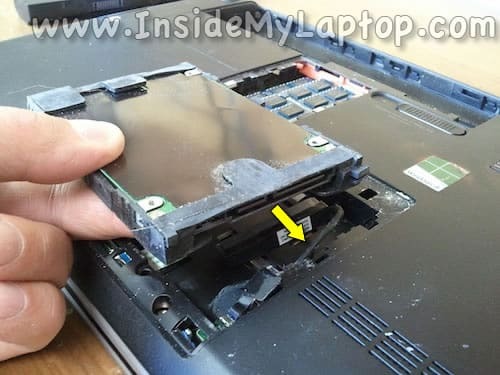 Turn it off, unlock and remove the battery. 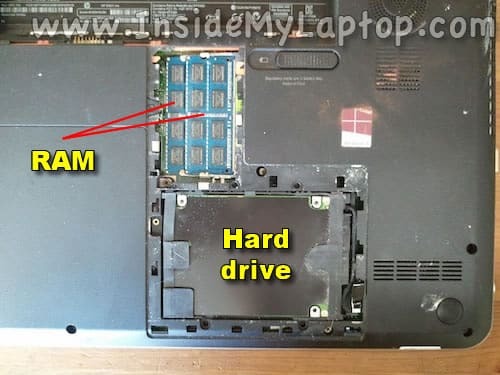 Remove one screw securing the hard dive/memory cover. 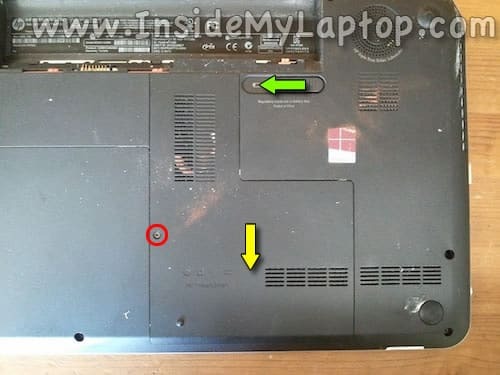 Push the battery latch all the way to the left (green arrow). The cover will slide down a little bit (yellow arrow). Now you can separate the cover from the case and remove it. 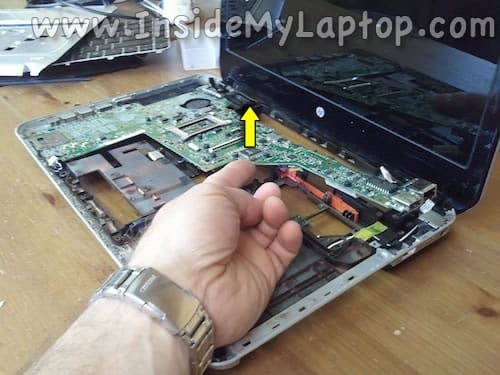 You’ll have to apply some reasonable force to remove the cover. 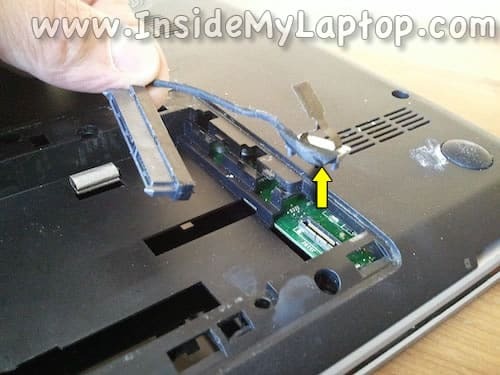 Lift up the hard drive and disconnect the SATA cable. Between the optical drive and RAM modules there is another cover. Remove it. 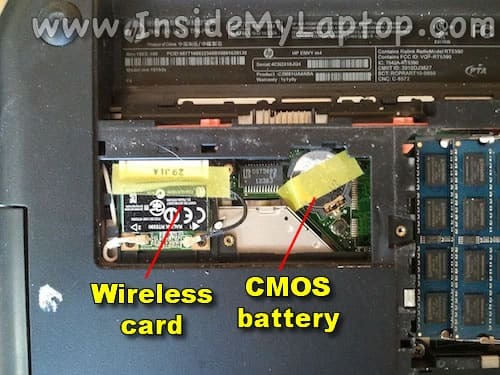 Under the cover you will find the wireless card and CMOS battery. 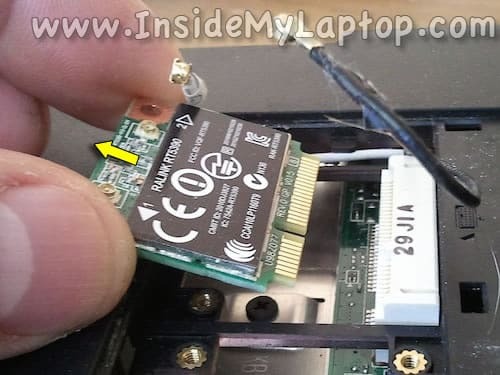 Remove two screws securing the wireless card and pull it out. 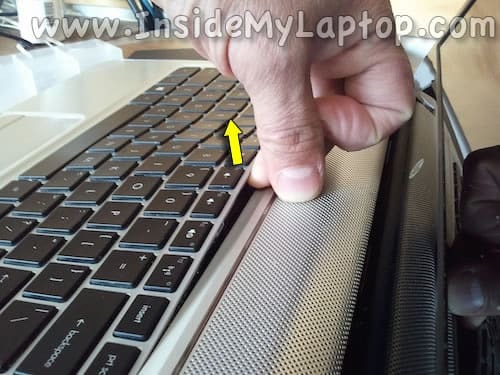 In order to remove the keyboard you’ll have to push on the back with a plastic stick (or something else). You will find an opening in the case close to the CMOS battery. 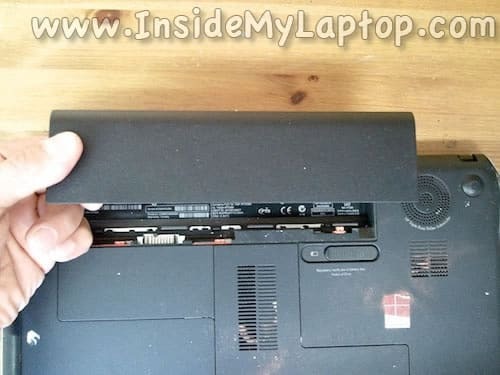 When you push on the back of the keyboard, the front will separate a little bit from the top cover. 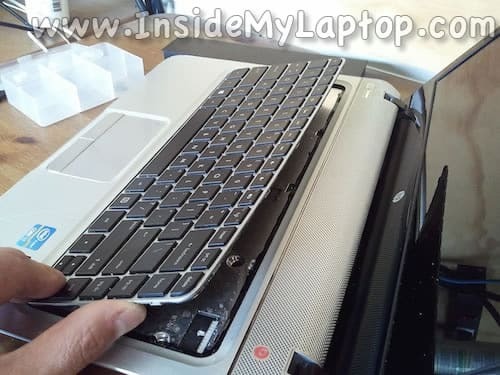 Insert your fingers under the keyboard and continue removing it from the case. 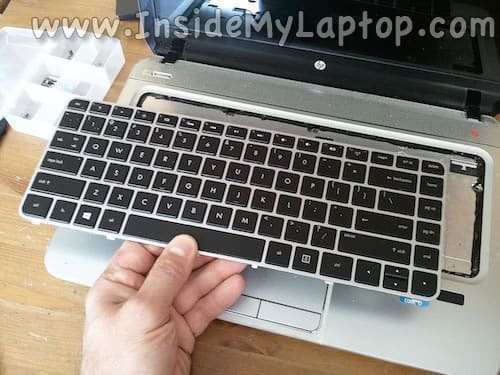 Separate the keyboard from the top cover and turn upside down on the palm rest. Now you can access and disconnect two cables. 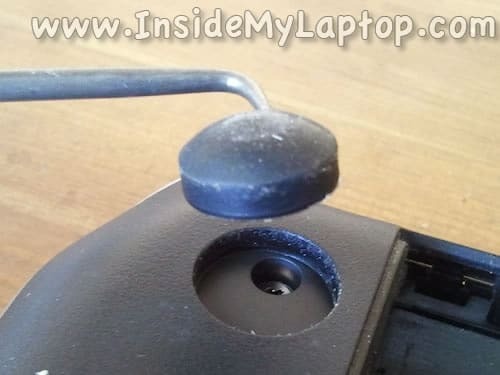 Lift up the right side of the connector retainer with your fingernail. It will open up at a 90 degree angle (green arrow). 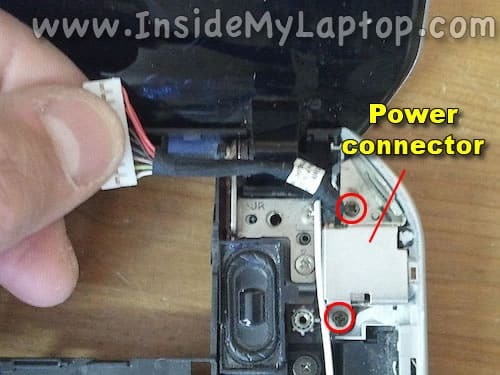 Disconnect the backlight cable the same way. Lift up the retainer and pull the cable. 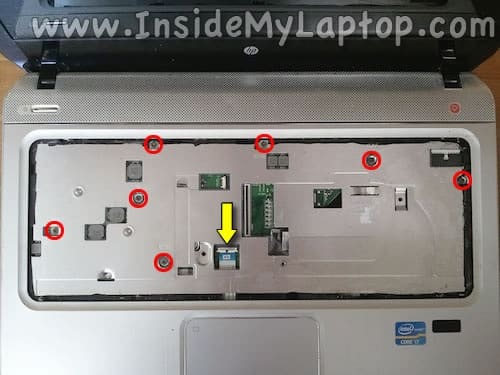 Remove screws from the bottom of the laptop. 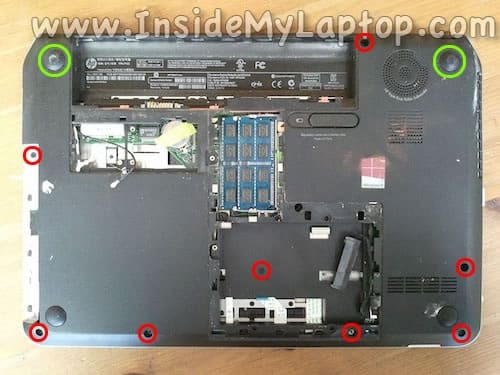 You will find two screws under rubber feet (green circles). Here’s how to remove the foot. It’s glued to the case with sticky tape. Remove seven screws securing the top cover/palm rest assembly. Start separating the top cover from the bottom case. Continue separating the top cover in the palm rest area. 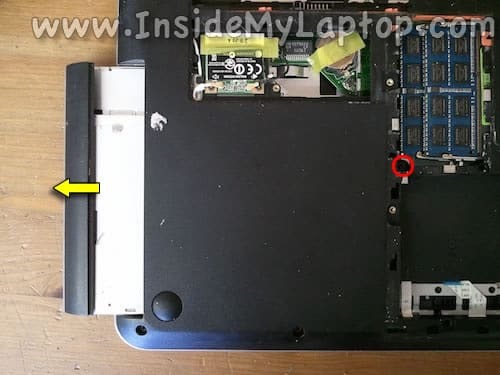 On the bottom side of the cover you can access the finger scanning device and touchpad. 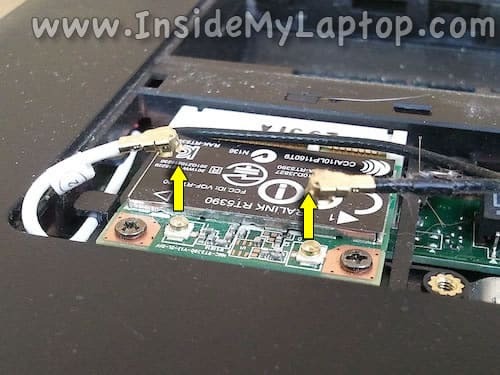 Here’s how to unplug the display and optical drive cables. Lift it up by the black belt. Here’s how to unplug the speaker cable. Do not pull by the wires. Unplug it by the connector edges. 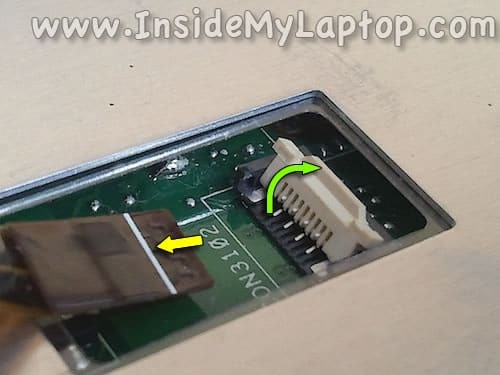 Here’s how to unplug the power connector (DC jack) cable. 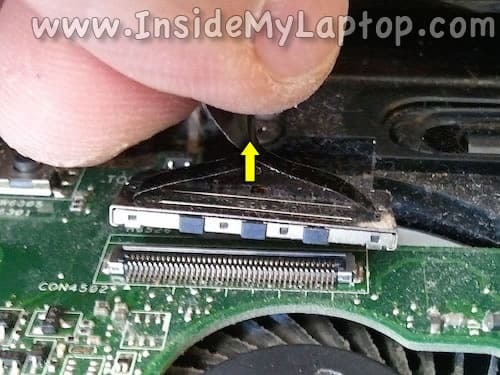 Before you can remove the motherboard from the case, make sure the hard drive SATA cable is disconnected. 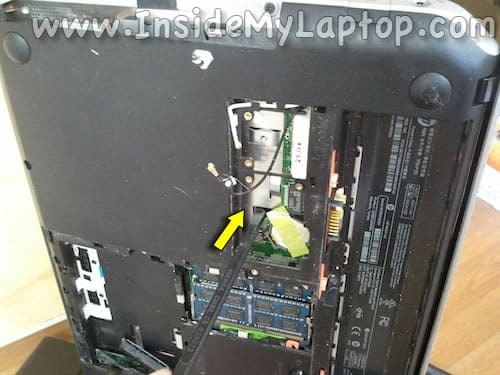 Unplug the cable from the motherboard and remove it. 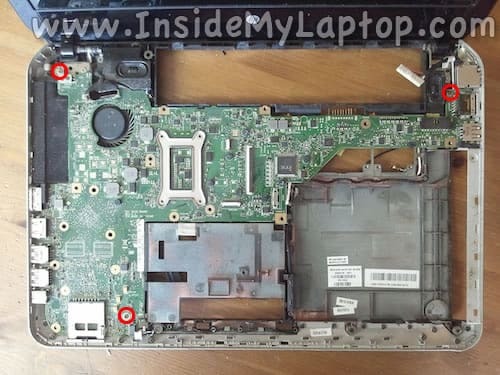 Start removing the motherboard as it shown on the following picture. The motherboard has been removed from the bottom case. On the other side you can access the cooling fan assembly (fan and heat sink). 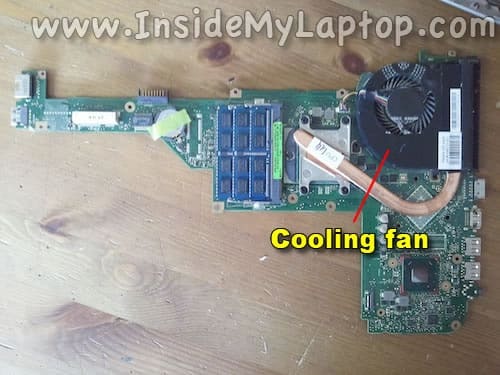 In order to remove the cooling assembly you’ll have to remove five screws and disconnect the cable. 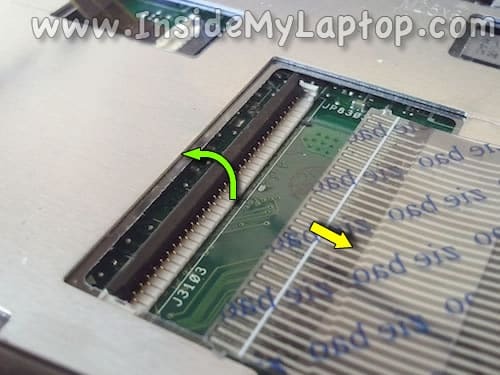 After that you should be able to lift up and separate the assembly from the motherboard. 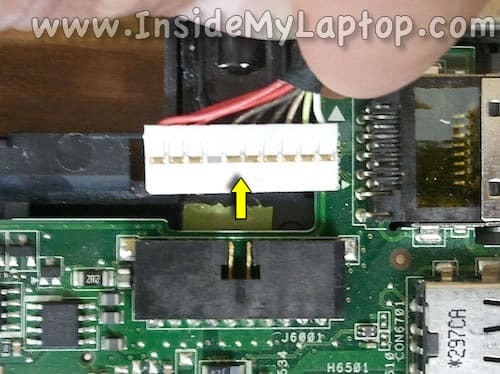 In HP ENVY m4 laptop the power connector is attached to a cable. In a case of failure it can be easily replaced. 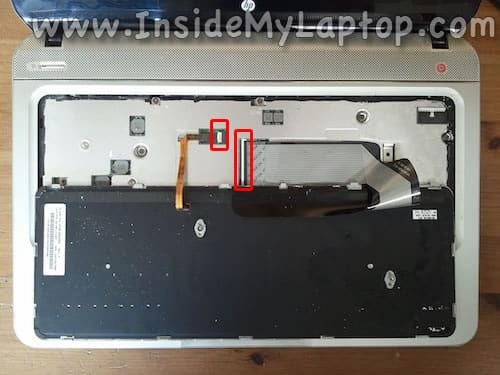 In order to remove the connector you’ll have to remove two screws securing the shield. Thank you very much! 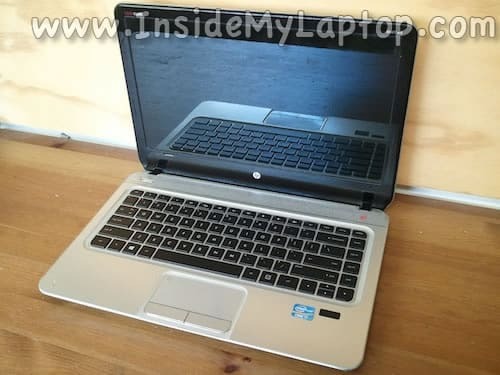 I found my HP Envy very difficult and scary to open but your tutorial made it very easy. I will donate but dont have any money right now. I promise though that as soon as I get I will. I love people that are ready to help others progress and this site seems dedicated to that. Thank you again very much! My fan stopped working and started making ver loud noises this morning. After many minutes of searching i stumbled upon your site with some skepticism because i prefer video tutorials to just pictures but like I said it was very easy to follow. It took me about 4 hours to complete opening and closing but it was very very easy. Thank you once again. This helped me out a ton. Thank you very much. 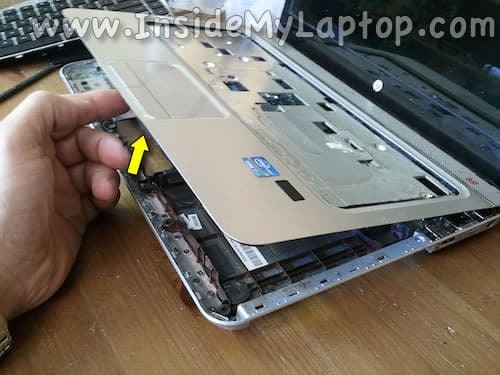 Is it really necessary to disassemble the whole thing to get the fan out? Yes it is. 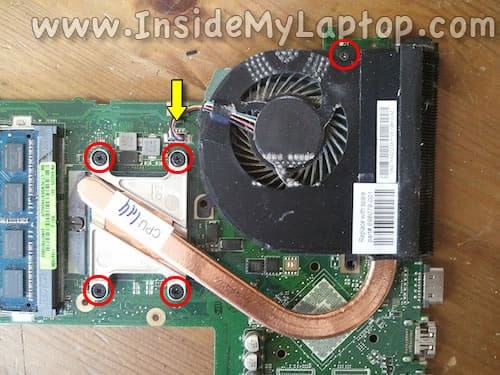 The fan is mounted under the motherboard and there is no easy way around. Thank you for this. 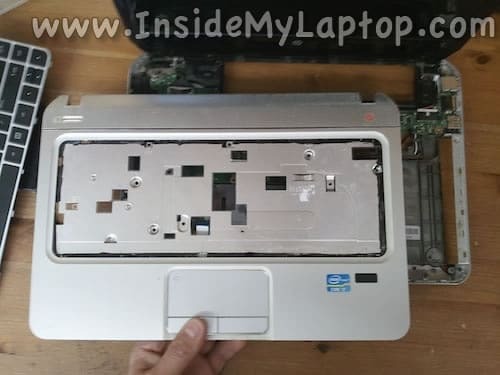 It’s rare to see this detailed of steps for disassembling a laptop. 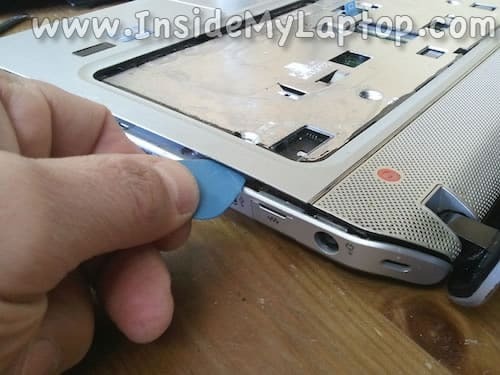 I didn’t need it, but you should also cover opening the screen casing. Thanks again! Great tutorial! I had an extra piece though. It’s a small rubber piece (about 1/2 X 1/4″). I think it’s some kind of spacer. It has a couple tips on top? Hard to describe. I think it may have been taped to the top of the thermal fan on the side? I think it came off and fell in the fan and created my fan problem. We’ll see once I reassemble. 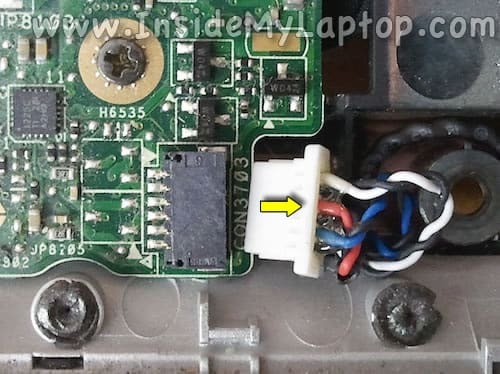 Someone knows which ones is the connector from the webcam?. Because after assemble my pc the webcam stopped working, but everything else works fine. Gracias, hoy en la mañana derrame un poco de jugo y estoy un poco preocupado por los daños que pueda sufrir. 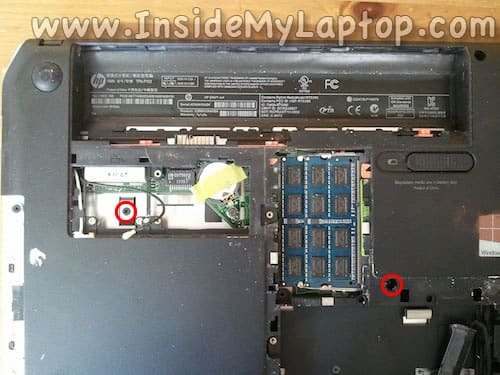 Hi, i have this Laptop and is not detecting the ethernet port (in device managment, windows 8, 8.1 and 10) is there a way to replace it or is soldered?